CCTV footage has captured the movements of a man who went missing in Edinburgh four weeks ago. Police have released the last sighting of James Cornforth, 36, who was reported missing on 5 February. 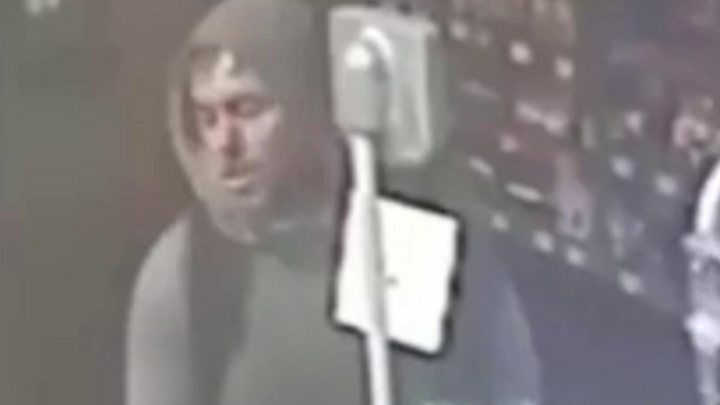 At about 20:00 on the day of his disappearance he was seen paying cash for a selection of food in the BP garage on Glasgow Road near South Gyle. His father Martin Cornforth said the family, including James' wife, were "worried for his safety". Earlier that day James was seen at the Vue cinema at Ocean Terminal Shopping Centre in Leith, which he left at about 15:00. Officers have plotted the route he took after leaving the Tesco Express on Queensferry Road, Barnton at about 17:40. CCTV shows that he passed the Shell garage on Maybury Road, before walking west towards Edinburgh Gateway. He then crossed the foot bridge over the A8 towards the RBS buildings at 18:32. CCTV captured his final sighting at at the Glasgow Road garage before he headed to Newbridge on foot. Police say James has not been in contact with anyone since 5 February. He is described as around 5ft 10ins, of stocky build with short light-brown hair. He has a sleeve tattoo on his right arm and a thistle tattoo on his right ankle. He was last seen wearing a grey hoodie and blue jeans, and was carrying a dark rucksack. In a statement issued through Police Scotland, James' father Martin urged his son to get in touch. He said: "It has now been a month since I last saw or spoke to James and along with his wife and the rest of the family we are all worried for his safety. This is completely out of character for him. "James, if you read this, we just want to know that you are safe, please get in touch with someone as soon as possible." Police have urged anyone with information on James' whereabouts to get in touch. Insp Jonny Elliott said: "James's family and friends are understandably upset by his disappearance and this is made harder as the weeks pass by. "I would remind the public that the weather that night was poor with periods of heavy rain, with James walking over four miles between the Tesco on Queensferry Road and the BP garage on Glasgow Road. "I'd urge anyone who saw James walking this route, or who may have seen him after he left the BP garage in the Ratho Station or Newbridge areas, to come forward at their earliest opportunity to assist with our investigation. "In addition, any motorists, cyclists, lorry drivers or bus drivers who may have been recording via dash cam and who were using any part of the route we know James took along the A8 corridor, or in the Newbridge area, on Tuesday 5th February from 18:00 onwards, are urged to come forward and provide this as soon as possible."